Dr. Bill Pecoraro began working with animals at the age of 12, where he worked in a kennel and has worked his way up over the years. He went to college for 2 years in New York before transferring to Iowa State, where he graduated in 1989 with a Doctorate in Veterinary Medicine. He opened his practice in June of 1994. During his leisure time, Dr. Bill enjoys spending time with his wife and 3 children. He, also, likes to spend time at his home away from home, Smith Mountain Lake. Dr. Steve Brandt has been employed at Dr. Bill's Pet Infirmary for over 20 years, starting as a veterinary assistant while in veterinary college. He received his undergraduate degree in Biology from Dominion University and his D.V.M. from Virginia Tech in 1998. Dr. Steve is married to his lovely wife, Kim, and has two wonderful children, Parker and Campbell. In his free time he enjoys hiking, camping, golf, and coaching his kids sports teams. Dr. Lindsey Hacker graduated from Virginia-Maryland Regional College of Veterinary Medicine (Virginia Tech) in 2003. She also went to Virginia Tech for her undergraduate degree in biology and is a big Hokie fan. Dr. Lindsey was born and raised in Midlothian, where she currently lives with her husband Brian, her daughter Abigail, a lab-husky mix Cody, and her two cats Lia and Sebastian. She enjoys scrapbooking and tropical fish keeping in her spare time. Dr. Kelly Buckley received her doctorate of Veterinary Medicine from Ross University, school of Veterinary Medicine in 2001 and her undergraduate degree in biology from Virginia Tech in 1994. She grew up in Newport News, Virginia. Dr. Kelly lives with her husband, two daughters, her boxer, Baxter, and two cats, Kibbles and Buddy. She enjoys ready, cooking, and relaxing on the beach. 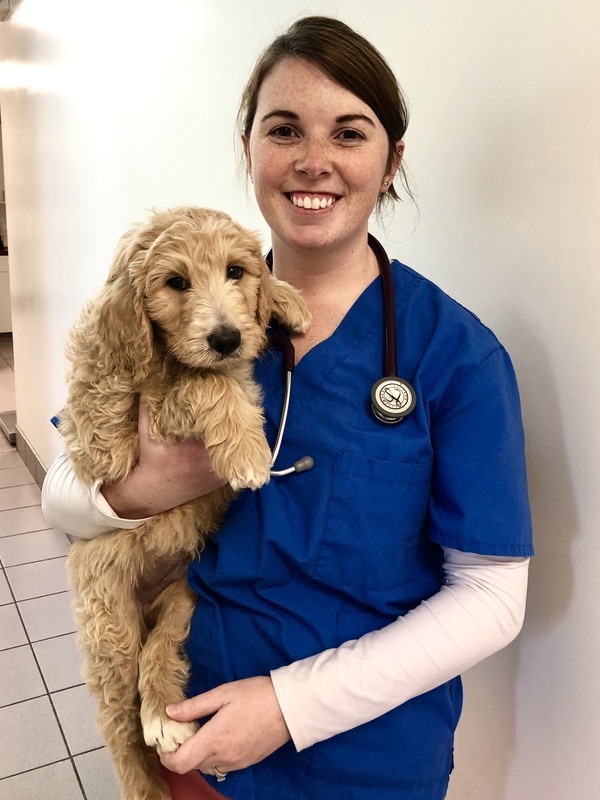 Dr. Kate White graduated from the Virginia-Maryland College of Veterinary Medicine at Virginia Tech in 2018 after completing an undergraduate degree in Biology at James Madison University. She grew up in England but has lived in Chesterfield since 2004. Dr. Kate moved back to Chesterfield after graduation and lives with her husband Andy, their two cats Navi and Fleur, a Goldendoodle named Sulley, and their new puppy Appa. She enjoys reading, horseback riding, and playing the violin in her spare time. Mary has been an employee at Dr. Bill's Pet Infirmary since August 1994. She graduated from St. Petersburg College in 2002 as a Licensed Veterinary Technician. Mary enjoys country living in Nottoway County with her husband John, a logger, and their twin boys and daughter. They have many pets including 12 cats, who enjoy patrolling the homesite, 5 dogs, and 11 hens that provide them with daily eggs for breakfast. 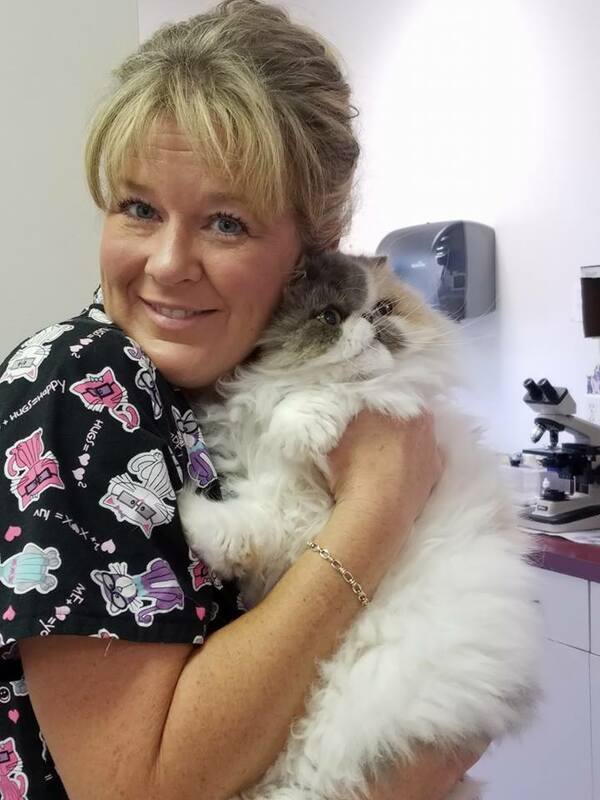 Kristin graduated from Blue Ridge Community College in 2007 as a Licensed Veterinary Technician and has been an employee at Dr. Bill's Pet Infirmary since August 2008. She adores her beloved French Bulldog, Raven Ida Mae. Ashleigh graduated from Blue Ridge Community College in 2014 as a Licensed Veterinary Technician and has been an employee at Dr. Bill's since 2011. She has two dogs, a Newfoundland named Roland and a Husky Mix named Anara, and three cats named Eliza, Evie, and Raya. 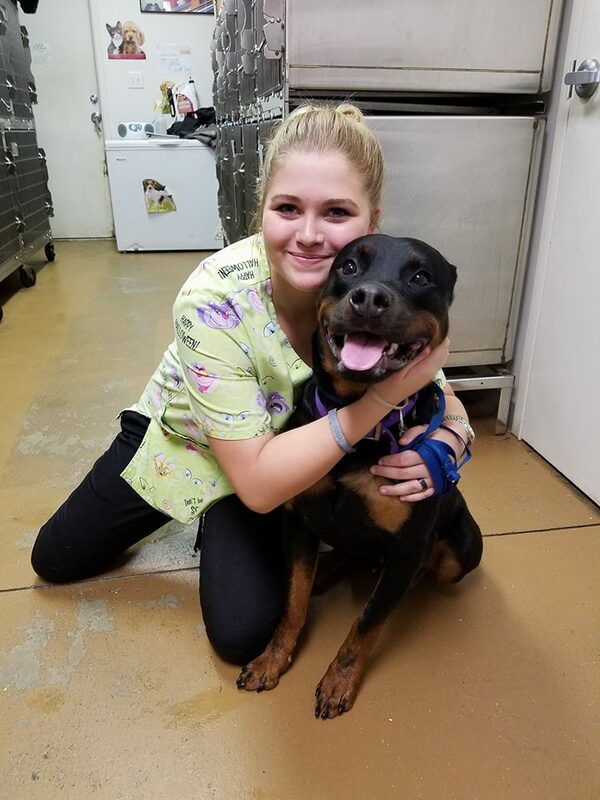 Casey graduated from Blue Ridge Community College in 2014 as a Licensed Veterinary Technician and has been an employee at Dr. Bill's since January 2019. She has a Lab named Rex and a Lhasa Apso named Ellie. Brittany started volunteering at Dr. Bill's Pet Infirmary in 1998 and has been an employee at the practice since August 2000. She lives with her dog, Wyle E., and her four cats, Jerrod, Monkey, Guenevere, and Padawan. Brittany enjoys books and movies and loves spending time with her pets. 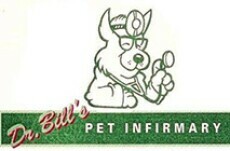 Sheila started working for Dr. Bill in 1998. Her favorite past time is to go camping. Her pet family consists of two cats, Olive and Chili and canine Chihuahua mix, Houston. Jennifer has been an employee at Dr. Bill's since January 2008. She is married to her loving husband, Mike and has two wonderful children, Dylan and Carly. She has four furry children as well. Her fur family consist of Chomper, the Shorkie, Maple, the Labradoodle, and two felines, Ariel and Holly. She enjoys spending time with her family, fishing, amusement parks, the mountains, and attending her children's school functions as well as their sporting events. 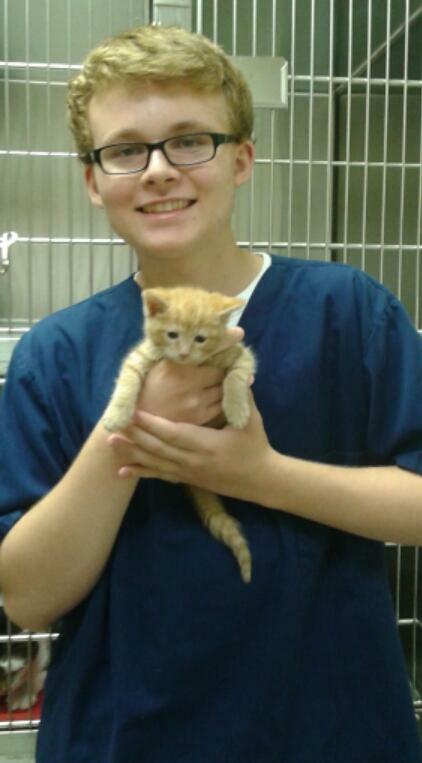 Ryan graduated in 2005 and began working at Dr. Bill's Pet Infirmary August of 2009. Ryan is an outgoing, life loving individual that enjoys disc golf in his free time. Christie started working for Dr. Bill's in June of 2006. She attended the Veterinary Science class at Chesterfield Tech Center in 2005-2006. She enjoys spoiling and spending time with her beloved hound, Jaxon! 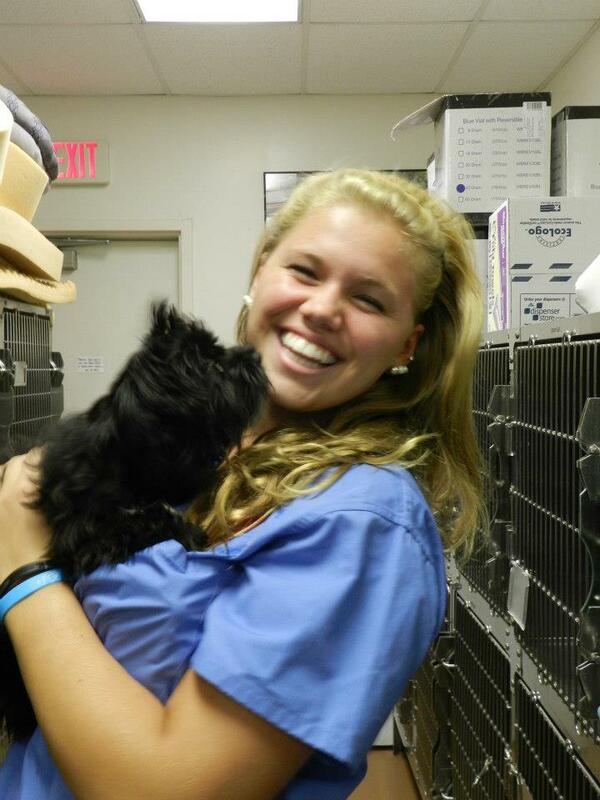 Jenny began working at Dr. Bill's Pet Infirmary in December 2011. She has a husky, five cats, and several pocket pets. She enjoys spending time with her husband and daughter. 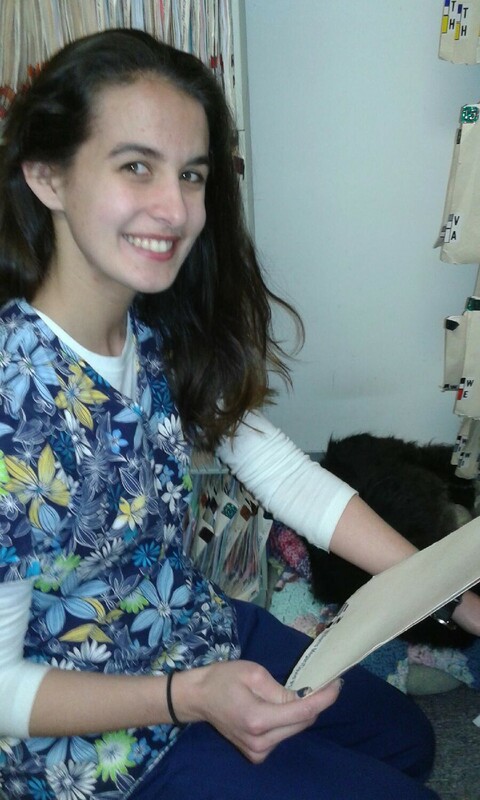 Amelia started working at Dr. Bill's Pet Infirmary in February 2016. She graduated from VCU in May of 2015 and soon after moved to Midlothian with her husband, two cats, Roger and Arya, and dog, Atari. In her spare time she enjoys cooking and exploring the great outdoors. Jacky has been employed at Dr. Bill's Pet Infirmary since June of 2016. She has a happy little family with her boyfriend, Gary, and son, Yahriel. They currently have a cat named Raisin, and three dogs named Roxy, Taz, and Tino. Jacky enjoys being around animals and spending time with her son and family. Aarthi has been an employee at Dr. Bill's Pet Infirmary since June 2016 after she graduated from Cornell University. She currently has two dogs, named Luke and Leia, as well as a fish named Sebastian. Aarthi enjoys fostering dogs and playing video games in her free time. 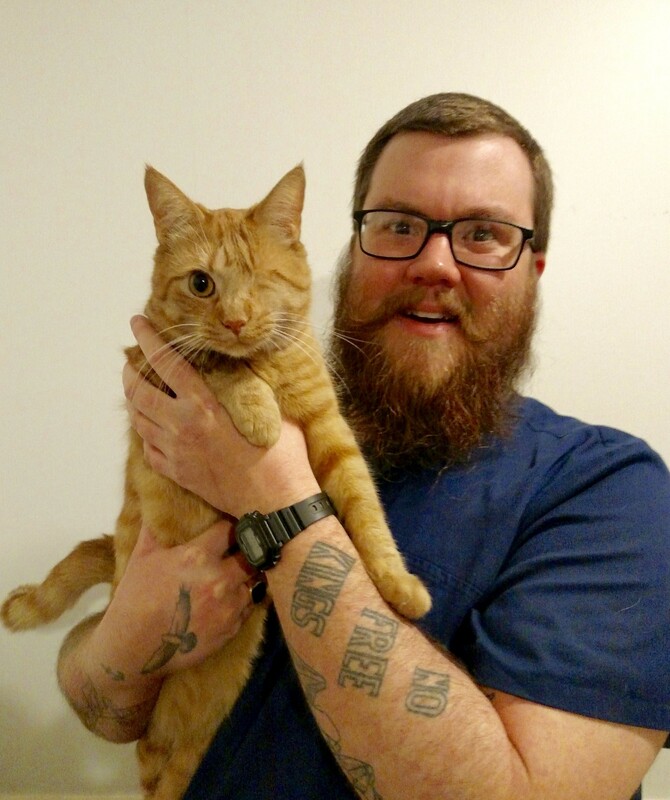 Evan started working at Dr. Bill's Pet Infirmary in June 2015. He is currently attending VCU and wishes to study pharmacology. In his free time Evan enjoys bowling, relaxing, and spending time with friends. He also enjoys spending time with his three dogs Mary, Nemo, and Einstein, as well as his two cats Blanca and Charm. Mikaylah has been an employee at Dr. Bill's since August 2017. She lives with her parents, their Golden Retriever named Lorenzo, and their cat named Thumbelina. Mikaylah enjoys spending time with family and playing with Lorenzo during her spare time. Taylor Parrish has been an employee at Dr. Bill's Pet Infirmary since June 2017. She lives with her grandparents, her Cocker Spaniel Chloe, Cockapoo Daisy, and Tortishell cat Cammie. Taylor is currently a senior at Cosby High School and plans to enroll at Virginia Tech in the fall of 2018 as an Animal Science Major. In her spare time she enjoys playing softball and volunteering at the Richmond SPCA. 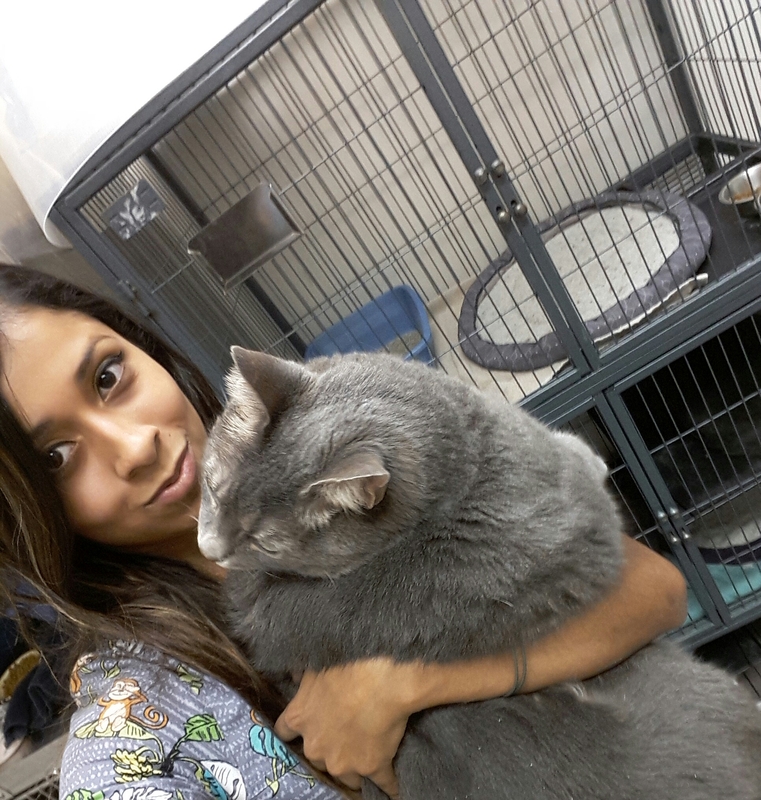 Kayla Anderson started volunteering at Dr. Bill's Pet infirmary in July of 2012 and has been employed since August 2012. She currently has two cats, Sabrina and Willie. During her spare time she enjoys making cupcakes and fleece blankets. 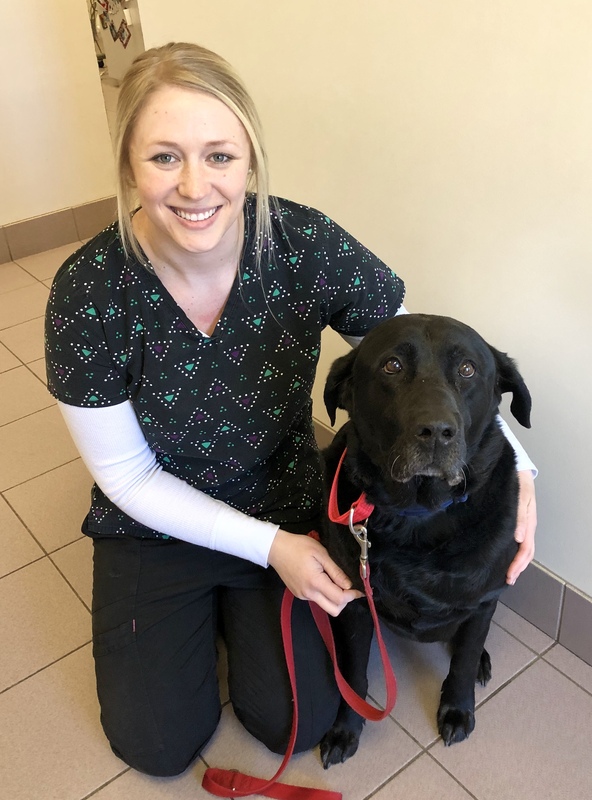 Carly started working at Dr Bill's Pet Infirmary in October 2017 and is a student at Manchester High School. She has four family pets; her two dogs Chomper and Maple, and her two cats Ariel and Holly, as well as her own furry child the Hollan Lap Rabbit named Pluto. Carly enjoys spending her free time with her boyfriend Dakota, drawing, and playing with her animals. Brooke has been an employee at Dr. Bill's since October 2017. She lives with her dog Molly, a Cockapoo, and her mom. Brooke is currently a senior at Clover Hill High School and plans to start a career in nursing in August at Longwood University. In her spare time she enjoys working on her truck, fishing, riding her four wheeler, and running. Pretzel came to Dr. Bill's Pet Infirmary, in a pretzel box, in 2007. We believe he was born sometime in 2005 before he came to us. His hobbies include basking in the sun, sleeping in his cozy bed, and cat treats. Pretzel loves the UPS man!